There’s nothing wrong with this coffee. But then there’s also nothing that jumps out about this coffee either. 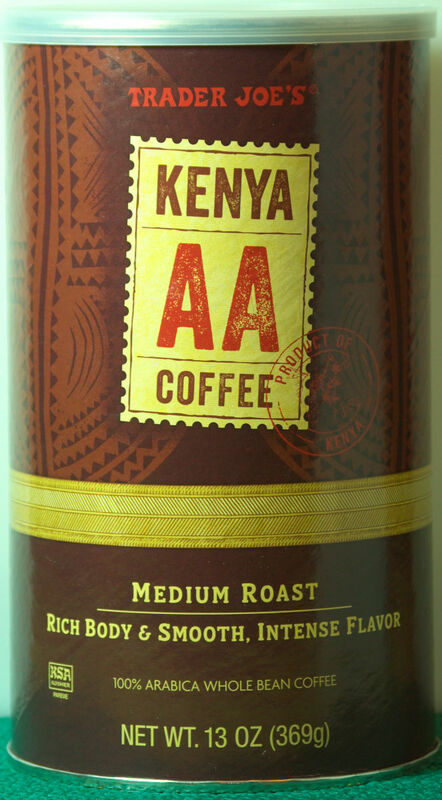 This is a pretty good medium roast coffee. At times the brew had a little sour taste and at other times the brew had a little bitter taste. I wouldn’t call the flavor “intense” as the label claims. But overall the beans produced a pretty good cup of coffee. Ranking this with other coffees, it would rank at around third place based on a 5 place ranking scale. At $1 less per can, Trader Joe’s Costa Rican Tarrazu is still my choice for an everyday morning cup. This entry was posted on 04/21/2015 at 06:03 and is filed under food, Recipes, food, cooking and related items, Trader Joe's. You can follow any responses to this entry through the RSS 2.0 feed. You can leave a response, or trackback from your own site.